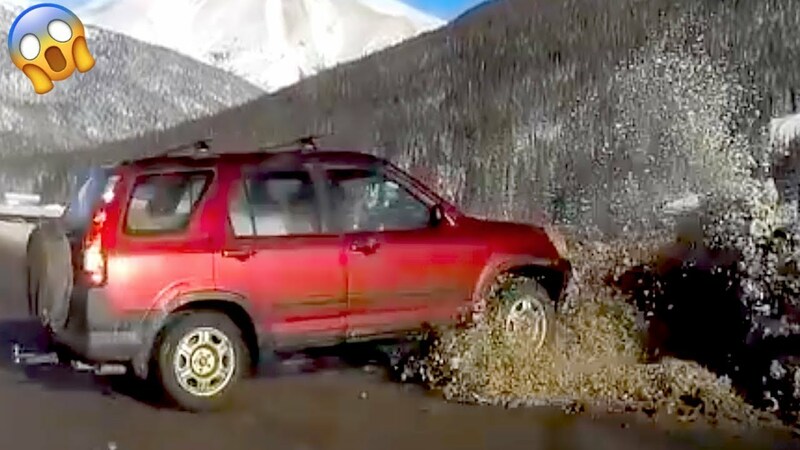 This video is #178 in the educational series that is all about car crashes, instant karma, roll over accidents, insurance fraud, close calls, and more. If you’re into insane dash cam footage, crashes, fails, and more, this is the video for you. Enjoy, you’ll be addicted! https://www.youtube.com/watch?v=7evdsmYVLVM – Special thanks to Ryan Davis! DDS TV Exclusive Upload – Special thanks to Bro Pebo! DDS TV Exclusive Upload – Special thanks to Garrett L! https://www.youtube.com/watch?v=X0vodrC99x4&feature=youtu.be – Special thanks to Cars of Nepa! DDS TV Exclusive Upload – Special thanks to Dave A! DDS TV Exclusive Upload – Special thanks to Lucas G! DDS TV Exclusive Upload – Special thanks to Carr! DDS TV Exclusive Upload – Special thanks to Joyce N W ! DDS TV Exclusive Upload – Special thanks to IMustBedUm! DDS TV Exclusive Upload – Special thanks to Joyce N W! https://www.youtube.com/watch?v=ZL71g3d2_3A&list=PLV0aObUkzG4rbhTM6BENTrU4VKjVN53cs&index=34 – Special thanks to Mike Russell! DDS TV Exclusive Upload – Special thanks to Aleksey Z! DDS TV Exclusive Upload – Special thanks to Louisiana Dashcam! https://www.youtube.com/watch?v=h7VkOSjW048&feature=youtu.be – Special thanks to Andrew W! DDS TV Exclusive Upload – Special thanks to John D! https://www.youtube.com/watch?v=CAtPdpuuKAk&feature=youtu.be – Special thanks to BrettBotTheCyronaut! DDS TV Exclusive Upload – Special thanks to Dillon S! DDS TV Exclusive Upload – Special thanks to David W! DDS TV Exclusive Upload – Special thanks to Dong YT! "She brake check so hard"? #8 looking at the way traffic is moving the jeep had no way of knowing he would block traffic, thats not karma, thats just a tax collector collecting his taxes. #17 – There's something called a Hazard Perception test where you're supposed to react and prevent an accident from occurring. Think you could do with that Test since you just ploughed into that car knowing full well you were going to hit it. I wanted to ask the comment section something. We have these rains in Oklahoma, usually over stretches of highway. It'll rain so heavily so suddenly that you won't be able to see the road in front of you. Well bearly and maybe the lines. Do you keep driving or pull over? There's two lanes, and there might have been other cars around you, but you won't see them in till they're like 3 ft in front of you even than it's just a dark shape at best. #4 The cammers windshield broke, looks to me like there was some pretty substantial damage. My favorite part of the week! 9:29 " It certainly looks that way, very sad" Perfect description of the red light runner. What timing for that to play on the radio. Is it just me or does anyone else just skip through the dark, rainy, blurry videos? The revenue collector in 11 was more hazardous to public safety than the Jeep driver. I watch several similar channels but your the only one I've subscribed to; watching your subscription number it's nice to see I'm not the only one. Your channel it literally the reason I now have a DC mounted front and rear. Even tho most vid's are self explanatory I enjoy the explanation you put on the bottom of the screen. As always DDS TV great quality videos! #20 I believe he tried to cut into the left lane too soon before the lane formed. Prolly crossed over into the street. Because oncoming traffic isn't going to stop you if you're already driving in the proper left turn lane. #13 was his brother doing the driving? Is that why you said it wasn't Louisiana Dashcam's fault. Otherwise if the cammer was doing the driving it's his fault for not making sure it was clear to get into the next lane. The driver at 3:37 might have also hit an area of standing water and hydroplaned. I live near a major metropolitan area where there are several areas that this happens in if you are a passing motorist and are not aware of the dangers. I wish the states would do more to fix these. There have been several people killed around here because of this. "Dillon S" aimed for that car. Change my mind. Um, #6 wasn't a "cut-through", they were turning left. #8 is actually called "gridlock"
The "Please drop a like" thing is annoying. Needs to be stopped. #4 For whatever reason DDS cut out the audio, but basically the cammer doesn’t deserve any sympathy. If you are wondering why, go in the description and watch the original with audio. #10 following too close, cammer's fault. 2:57 Imagine if that Nissan driver literally just bought the car, owned it for all of 5 minutes, then BAM truckfucked. Plenty of examples of too many drivers driving in the left lane when they aren’t overtaking anyone, leading to a situation where space is minimized traffic suddenly slows and an accident ensues. It cannot be the fast lane if everyone is in it! Lol, if someone break checks you multiple times it means they aren't comfortable with you following them that close. If your reaction is to start filming with your phone while driving while tailgating them you should be found at double fault. That's not a very good idea at all. #10, or you could say, as you do to everyone else, they were probably on their phone, distracted. Cammers aren't any more special than regular drivers just because they have a camera in their vehicle. The first half of these videos are great but after that there are way too many filler clips. #5 if the cammer honked, it's the cammer's fault. #11 Mr Mike Russell, people like you irritate me more than anything. When the car in front of you pulls over for an emergency vehicle, let that guy back in front of you and not gun it and pass him just to be in front. It's not a race or a game. It's common courtesy. DDS TV already making the New Year great. #8, I think the cop was on a run since he approached with his light already on, secondly, the silver car was blocking more than the jeep was after the jeep made his move, thirdly, since the outside lane was clogged, the cop went for the outside lane to get to wherever he was going. Don't think it was Karma cop.